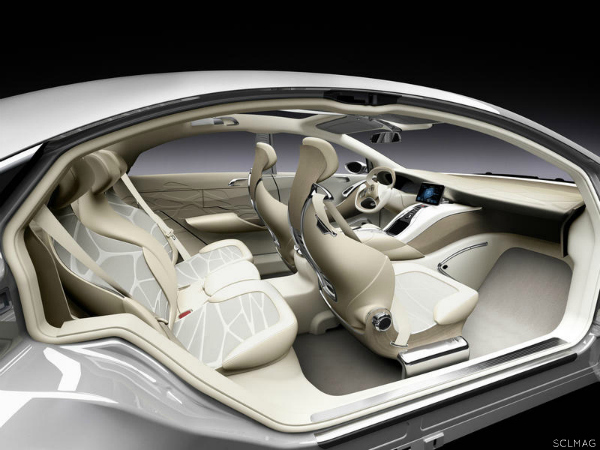 The Mercedes-Benz F 800 Style research vehicle shows the future of premium cars from a new perspective: the one-off five-seater executive saloon combines efficient drive technologies with unparalleled safety and convenience features as well as an emotive design idiom, which interprets current Mercedes-Benz styling in line with the brand’s hallmark attribute of refined sportiness. With an exterior length of 4.75 metres, the F 800 Style offers a generously-sized interior incorporating intelligent seating, control and display concepts. Another world-first for large saloons is the all-new, exceptionally flexible multi-drive platform, which is suitable for electric drive with fuel cells, enabling a range of almost 600 kilometres, as well as for a plug-in hybrid that can drive for up to 30 kilometres solely on electricity. Both variants of the F 800 Style make locally emission-free mobility possible for a premium car, while at the same time being ideal for everyday driving and providing a dynamic driving experience. Within the compact 4.75-metre long exterior of the F 800 Style, all of the components of the vehicle’s exceptionally efficient and environmentally compatible alternative drive systems (plug-in hybrid or fuel-cell drive system) are installed in the engine compartment and in the gaps within the chassis to save space. Each of the drive systems takes up comparatively little space. This applies in particular to the electric drive with fuel cells, which has been enhanced by Mercedes-Benz to be compact and powerful. The front end’s compact package was made possible by the consistent downsizing of all F-CELL components. As a result, the entire interior space is preserved and offers plenty of room for five occupants. In combination with the powerful plug-in hybrid drive system, the F 800 Style is a dynamic expression of the “fascination and responsibility” concept. Its drive unit consists of a V6 petrol engine developing around 200 kW (272 hp) with next-generation direct injection, a hybrid module developing around 80 kW (109 hp) and a lithium-ion battery which can be recharged either at a charging station or a household power socket. Thanks to its powerful and high-torque hybrid module, in the city the F 800 Style can run exclusively on electricity and therefore without generating any local emissions. Because it also provides high torque right from the moment it starts, the vehicle delivers the same level of performance as a car with a V6 petrol engine even when operating in electric mode. The F 800 Style with plug-in hybrid can run purely on electricity for up to 30 kilometres. The F 800 Style research vehicle therefore marks a further important step in the development of a market-ready plug-in hybrid. 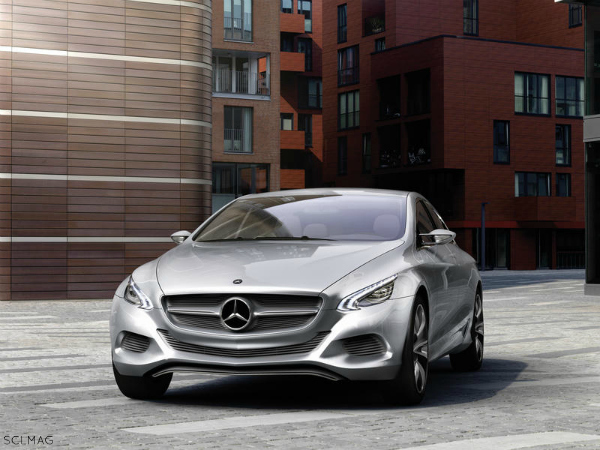 Mercedes‑Benz will begin series production of this technology when the next-generation S-Class is introduced. Thanks to its efficient drive system and a CO2 bonus for its battery-electric driving mode, the vehicle has a certified fuel consumption of 2.9 litres of petrol per 100 kilometres, equivalent to low CO2 emissions of 68 grams per kilometre – six grams per kilometre lower than the Vision S 500 Plug-in HYBRID. Yet the F 800 Style with plug-in hybrid still delivers performance on a par with a sports car (0-100 km/h in 4.8 s, top speed of 250 km/h). When driven in electric mode, the F 800 Style has a top speed of 120 km/h, and can thus also meet practically every requirement associated with long-distance driving. As is the case with the Mercedes-Benz S 400 HYBRID introduced in the summer of 2009 and the Vision S 500 Plug-in HYBRID, the powerful electric module with an output of around 80 kW (109 hp) in the F 800 Style is integrated in the housing of the 7G-TRONIC seven-speed automatic transmission. The lithium-ion battery in the new research vehicle is located underneath the rear seat bench, where it takes up little space, creates a low centre of gravity and ensures maximum safety in the event of a crash. The electric drive components in the F 800 Style with plug-in hybrid once again demonstrate the versatility of Mercedes-Benz’s modular hybrid system, which can be expanded in various ways, depending on performance needs and the area of application. On this basis, it is possible to combine hybrid modules and batteries of different performance ratings with fuel-efficient, high-torque petrol and diesel engines. Examples range from the current mild hybrids all the way to plug-in hybrids that enable exclusively electric driving over long distances. When developing the F 800 Style with plug-in hybrid, the Mercedes engineers particularly focused on improving the possibilities of driving exclusively with electricity in urban traffic. As a result, the F 800 Style offers even higher power reserves in e-mode than the Vision S 500 Plug-in HYBRID. The F 800 Style can therefore easily master all kinds of city traffic while producing no local emissions. With the powerful hybrid module, the top speed of the F 800 Style with plug-in hybrid has been increased from 75 km/h to 120 km/h in electric mode compared to the Vision S 500 Plug-in HYBRID. Furthermore, it emits 68 grams of CO2 per kilometre, compared to the latter vehicle’s 74 grams per kilometre. The F 800 Style with electric drive based on fuel-cell technology also offers high levels of driving pleasure and handling dynamics. The vehicle’s electric motor develops around 100 kW (136 hp) and has an impressive torque of around 290 Nm. The fuel cell generates the traction current by chemically reacting hydrogen with oxygen on board the vehicle, producing water vapour as the only emission in the process. The components of the fuel-cell drive are taken from the E-Drive modular system, which Mercedes-Benz has developed for a variety of different electric vehicles. These components, which are already being installed in the limited-edition B-Class F-CELL, can be flexibly used and are suitable for a variety of different drive configurations. The F 800 Style is an example of this, as it uses rear-wheel drive, in contrast to the B-Class F-CELL. The same components are also installed in commercial vehicles, with developments here being spearheaded by the new Citaro fuel-cell bus, which is equipped with two of the F-CELL systems used in passenger cars. The new Mercedes-Benz research vehicle has the fuel cell located in the front, while the compact electric motor is installed near the rear axle. The lithium-ion battery is positioned behind the rear seats, where it benefits from maximum possible protection against the effects of accidents, as do the four hydrogen tanks. Two of the tanks are located in the transmission tunnel between the passengers, while the other two are underneath the rear seat. They are designed to withstand all conceivable loads that could occur.